Today is the big day! I switched my site over from my previous SweetBellaRoos.com to Grace and Good Eats. This change was a long time coming and I am so excited to begin 2015 with my new site. When I started Sweet Bella Roos it was a semi-private blog, affectionately nicknamed after my daughter, and my Mom was my only reader. I never imagined it would grow to what it is today or that I would still get so much joy from sharing a little piece of my life with all of you. I struggled with a bit of an identity crisis, afraid to commit to being a “food blog”, but as my recipe development and food photography skills have (immensely) improved over the past five years, I’m finally ready to wear the title proudly. To celebrate I’m giving away a free download of my Holiday Cookies eBook! 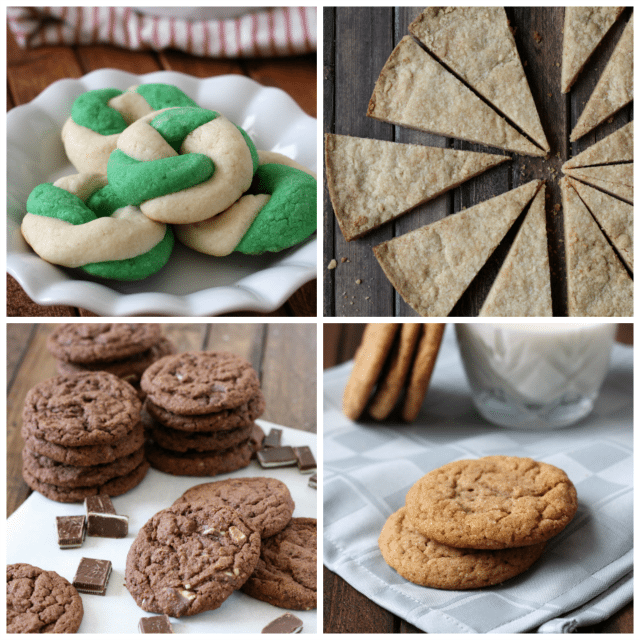 This digital cookbook features 10 of my most favorite cookies (never before seen on the blog). Most of these recipes are my go-to, tried and true, recipes- with a few new ones thrown in to the mix. These are the recipes I would pull out when I needed to bake some goodies to bring to work for a holiday celebration, to a potluck event at church, or even just a rainy Saturday deserving of cookies. These are all simple, easy to follow recipes that don’t require any crazy ingredients. I’ve included a mix of chocolate, fruit, and spice so you are sure to find something to please everyone. 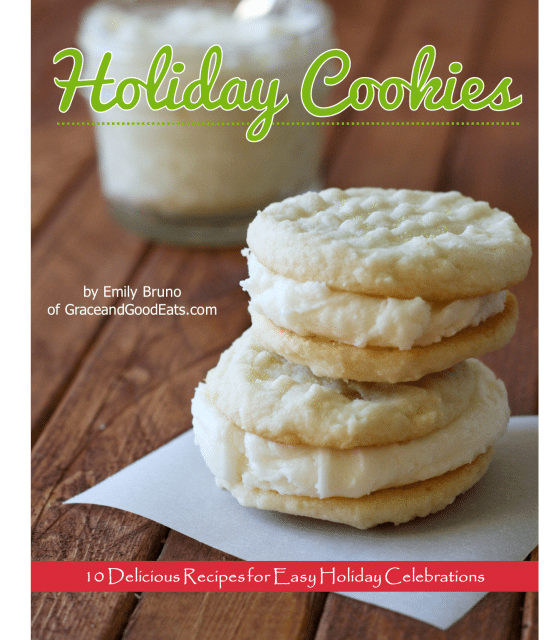 While these cookies are perfect for the holiday season, they can certainly be made any time of year! I hope you enjoy baking and sharing (and eating!) these cookies. And I hope you will follow along with me on my new site. I’ve changed the name of most of my social media accounts, so please make sure you are following me under my new accounts! Thank you so much for the free download! Have a wonderful Christmas! !